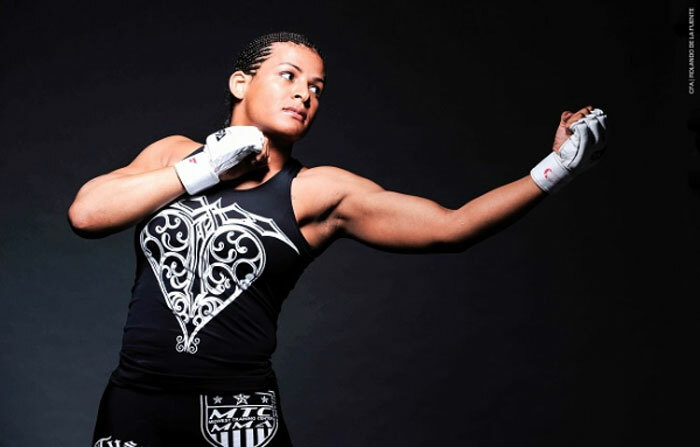 Fallon Fox is the first out trans mixed martial arts fighter, an artist, writer, and professional speaker. She’s got a 5-1 record since starting her fighting career in 2013 (though she’s been training since 2008), so it’s safe to say she’s, uh, pretty damn good. She also tours, giving lectures about how MMA and other contact sports can empower women. And she’s about to get a lot more famous as one of two subjects of the new documentary Game Face. When Fox came out, she faced bigotry and harassment from the crowd, other fighters, and the media — including MMA color commentator and alleged comedian Joe Rogan, who made some deeply transphobic remarks I won’t repeat… instead, I’ll use this space to remind you that Rogan’s most famous for making people eat horse rectums. With her skill and her personality though, she’s won many fans – and seen detractors fall. And we’re here to help you see the light and become one of those fans. Honestly – just read some of her pieces for Time Magazine or one of the many profiles of her, and just try to come away not totally in love with her. It can’t be done. She’s just TOO AWESOME.